"Projects may be fun, but they'll never prepare students for ____ [fill in high-stakes test of your choice]"
"If kids work in teams on projects, one or two will do all the work and the others will coast"
"PBL won't work with my students because they are ____ [fill in the challenge of your choice]"
"I'll never have time to cover all my content if I spend time on projects"
"Parents will wind up doing most of the work"
"We can't do PBL because we don't have ____ [fill in the technology of your choice]"
If we dispel the myths, we can concentrate on helping teachers and students achieve the meaningful learning that's possible through high-quality PBL. So, let's get busy. 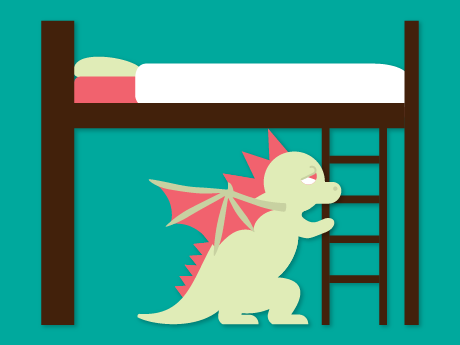 Let's tackle the biggest myth first -- that projects are fun but fluffy. Not academically rigorous. There's a reason why this misconception endures. Many of today's adults remember doing "projects" when they were in school. Remember those dioramas, solar system mobiles, and other assignments that involved lots of cardboard and Styrofoam but probably not much inquiry or critical thinking? Chances are, those hands-on activities were assigned after the serious learning was over. My colleagues at the Buck Institute for Education have been outspoken about distinguishing between projects and project-based learning. They rightly describe PBL as main-course learning, not dessert. (Read their "Main Course" blog post. )The point isn't that short-term, hands-on activities are without merit. Rather, you can't expect students to gain the full benefits of PBL unless you give them time and the instructional support needed for an extended, in-depth, inquiry experience. Here's a related myth -- that you won't be able to cover your curriculum if you're spending class time on PBL. PBL isn't an add-on or side trip to your students' learning. It's the main event. When teachers design PBL experiences, they start with a thorough understanding of their content standards. Moreover, teachers consider the reasons why those standards matter. What are the big ideas of their discipline? How do those ideas connect to the world beyond the classroom? Good projects make content standards relevant. That makes learning more purposeful and concepts more memorable for students. Teachers who are new to PBL (and parents who don't understand the difference between projects and PBL) sometimes need convincing that students will, indeed, master academics this way. Looking at the research about PBL can help overcome skepticism. Here's a research overview. In addition, Knowledge in Action is an ongoing research project, sponsored by the George Lucas Educational Foundation, about using PBL in advanced placement classes, known for high expectations when it comes to content mastery. Deeper learning, in a nutshell, emphasizes academic content, critical thinking, problem solving, collaboration, effective communication, self-directed learning, and an academic mindset. Schools in the Deeper Learning Network use PBL as an instructional strategy to accomplish these goals. What happens in deeper learning settings? According to AIR report, students master academic content through projects that also emphasize critical thinking, collaboration, and communication. They understand the real-world context for their studies. They benefit from a range of assessments -- including long-term (portfolios and exhibitions) and formative feedback -- and also from differentiated instruction during projects. They not only prepare for college admission, but develop the habits of mind to be successful in college. Which myths do you hear most often when it comes to PBL? How do you counter the misconceptions? Please add your thoughts in the comments, and let's do some myth busting together.